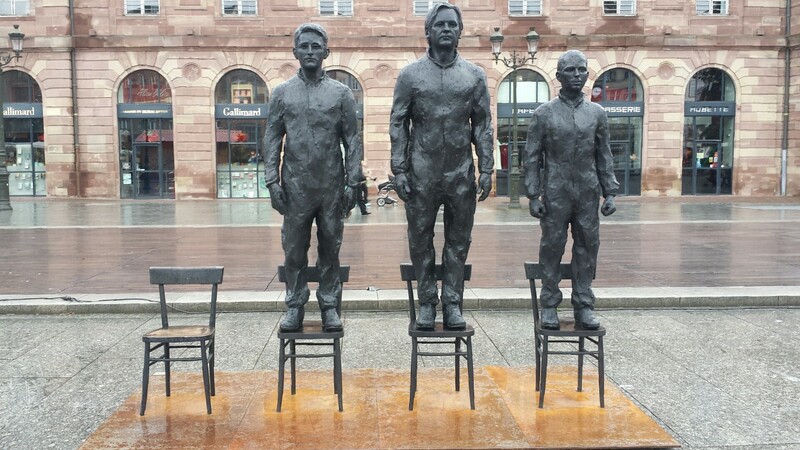 In the main square of Strasbourg, France, artist Davide Dormino recently installed “Anything to Say,” a public art tribute to Edward Snowden, Julian Assange and Chelsea Manning. Snowden, Julian Assange and Chelsea Manning. Statues depicting each of these whistleblowers stand shoulder to shoulder on a row of chairs. 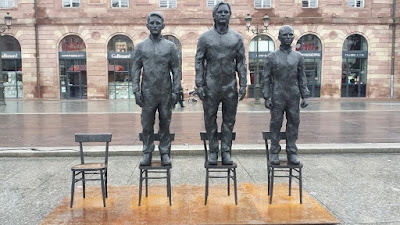 An empty chair is placed to the right of Snowden so that members of the public can take a stand alongside the three. Just imagine the censorial indignation of the U.S. political establishment had an American city installed this in its main public square. 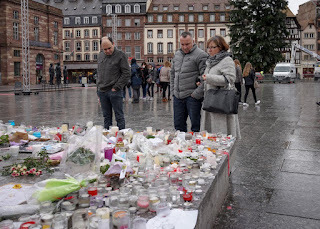 Memorial to the victims of the Nov. 13 Paris attacks. This echoes the sentiments of retired Sen. Saxby Chambliss (R-Ga.), who in July told a University of Georgia audience, “we need to hang [Snowden] on the courthouse square as soon was we get our hands on him.” Chamblis served as vice chairman of the powerful intelligence panel before stepping down from Congress last year. In Strasbourg this installation stands just opposite a memorial to those who were killed during the Nov. 13 attacks in Paris. The proximity of these two locations sparked fascinating debates among people on the square and at the Council of Europe headquarters nearby. Isn’t this what public space is supposed to be about? No matter how outspoken politicians and pundits may be, nothing replaces people occupying public space to engage one another in protest and debate. To do so challenges us to think more deeply about our place in civic life and the world.